Lots of new books this week! I'm so excited to read Elegy and The Moon and More! I loooooooove the new covers for all of the Sarah Dessen paperbacks. They are just perfect for this time of year. I just need a few more to have a complete collection! Wild Cards and Where the Stars Shine sound really great. That's all for me this week. I love love love A Discovery of Witches! Funny thing I had actually bought the second book before getting the first one but luckily I didn't read it until I got the first one. You got a lot of goodies too! Have fun with all that reading! Ohhh!! Look at all of those Sarah Dessen books!! 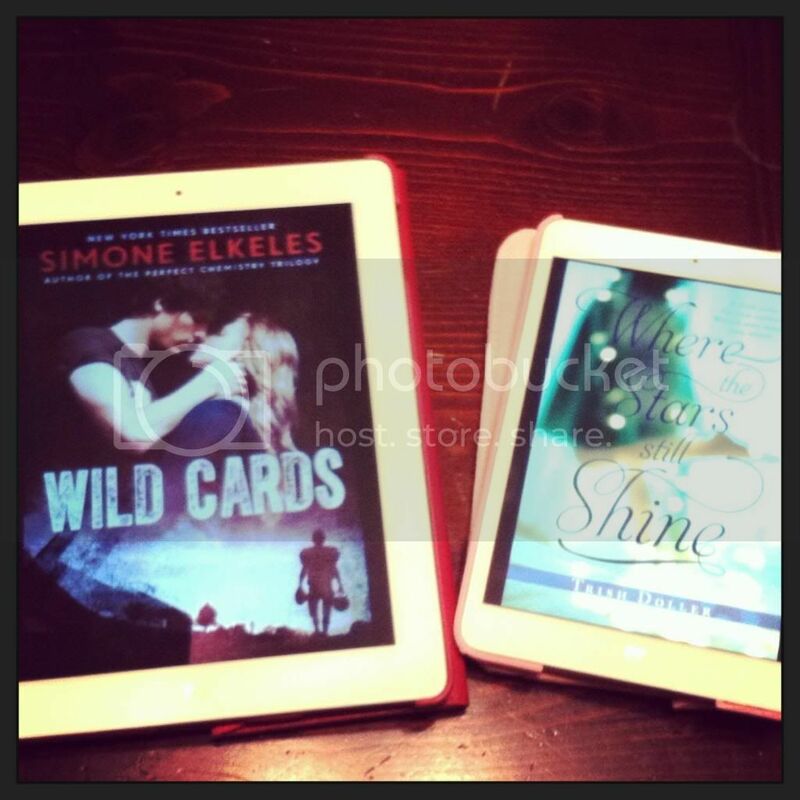 I'm so excited for you to have them all on your shelf - and Wild Cards and Where the Stars Still Shine!? AH. So excited for those two. 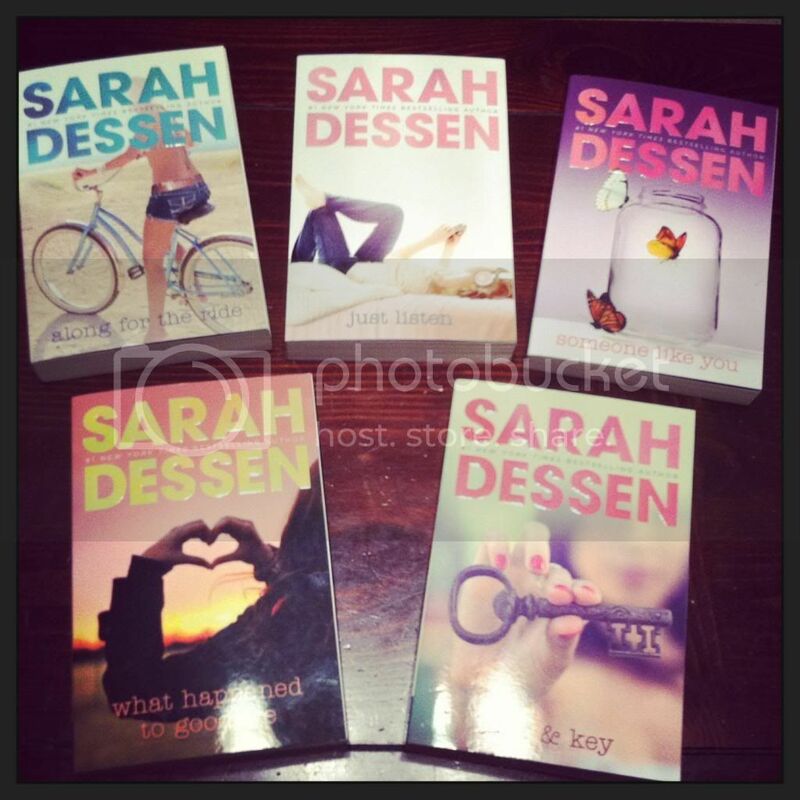 Sarah Dessen's covers seem to be constantly changing! I use to have a few of these in the first--maybe first? second, very early--covers. But then I donated them since I don't read contemps anymore. But wayyyy back when there was hardly any paranormal YA and I was reading only YA I did read a few contemps and Sarah was definitely a fave in that! I loved Elegy and the ending was good for a series ending, but it definitely touched some buttons for me. (Nothing negative though!) Happy Reading! I am reading Wild Cards now and REALLY liking it! 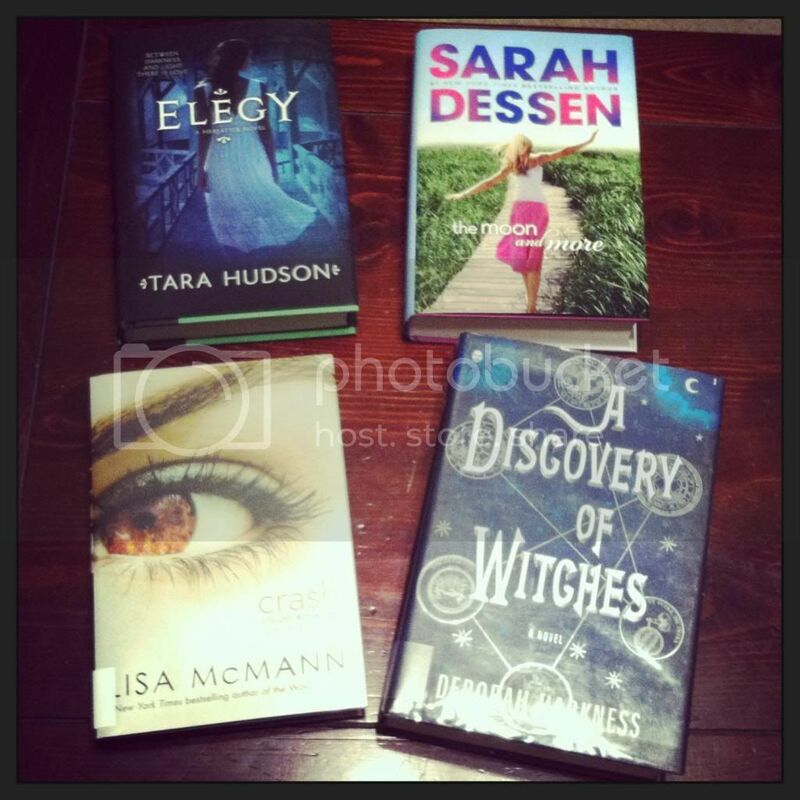 I like the Sarah Dessen covers too. Can't wait to see what you think of them.